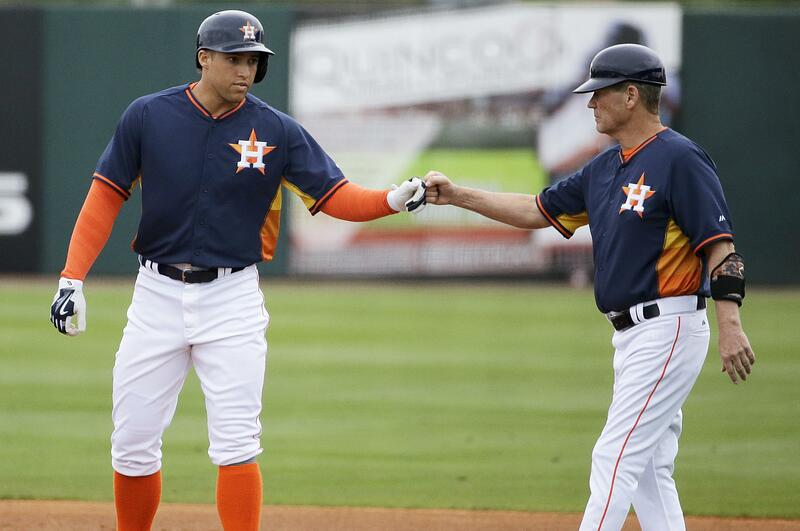 Retired Houston Astros first-base coach Rich Dauer will be among the coaches for the American League at next week’s All-Star game. Dauer was a part of Houston’s World Series championship last season, but was rushed to a hospital immediately after the team’s victory parade – surviving a difficult surgery on a blood clot in his brain. The 65-year-old Dauer will join Tampa Bay Rays manager Kevin Cash on A.L. manager AJ Hinch’s staff, MLB announced on Tuesday. Also, first-year Washington Nationals manager Dave Martinez will be among the coaches for the National League in the game at Nationals Park. He was invited to join this year’s All-Star staff by N.L. and Los Angeles Dodgers manager Dave Roberts, who also selected Colorado Rockies manager Bud Black. Martinez played 16 seasons in the majors and came to Washington after working with the Chicago Cubs. The 53-year-old Martinez previously coached in the All-Star game for the American League in 2009. Black played 15 seasons in the majors and has worked on All-Star staffs in 2003, 2008 and 2010. Cash is making his second straight appearance on the A.L.’s All-Star coaching staff. Dauer played for the Baltimore Orioles from 1976-85, winning a World Series in 1983. He was hired by the Astros after the 2014 season before retiring after last season. Ted Barrett, a 20-year MLB umpire, will work behind the plate and serve as the crew chief for next Tuesday’s game. The rest of Barrett’s crew, which was announced on Tuesday, will include Jim Reynolds (first base), Alfonso Marques (second base), Andy Fletcher (third base) Mike Muchlinski (left field) and Cory Blaser (right field). The game will mark the second All-Star appearance for Barrett, Reynolds, Marquez and Fetcher, as well as the first for Muchlinski and Blaser. The replay official for the game will be Marvin Hudson, a 20-year major league umpire who also worked the 2004 All-Star game. The official scorer for the game will be Washington D.C.-based Ben Trittipoe with MLB. Published: July 10, 2018, 5:42 p.m.